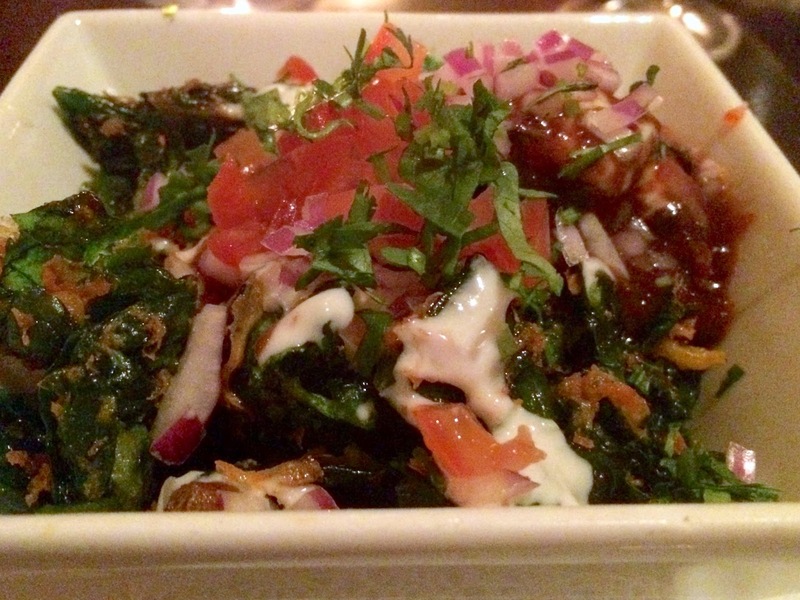 Rasika's fried spinach appetizer, Palak Chaat, may not be an Indian staple, but the iconic dish is a prime example of how Indian cuisine has found enduring mainstream appeal in Washington, D.C. In The Tastemakers, author David Sax discusses how food writers forecast Indian cuisine as the next-big-thing, but, although it continues to grow in popularity, has never quite crossed over to the mainstream in the dramatic way that other foods have. It's a cuisine more frequently labeled as "ethnic"--something spicy and exotic you get from a hole-in-the-wall--rather than "foreign"--a label denoting a perception of sophistication as well as mainstream acceptance. Vietnamese cuisine appears to be making that transition now: pho has spread across the country, bahn mi is available everywhere from food trucks to airplanes, and San Francisco's The Slanted Door was honored with last year's James Beard award for Best Restaurant. Vietnamese isn't really "ethnic" anymore, it's everywhere. It's the sort of transition one would have expected Indian cuisine to have made by now, but, for some reason it just doesn't. Possibly because of the spiciness. "Spicy" is an unfortunate word for talking about food, as it can imply two things: 1) hot, as in spiced with chili peppers, and 2) full of spices, which are not necessarily hot, like cumin, cinnamon or cardamom. For example, an apple pie is spicy in the latter sense, yet calling it so may make people think you spiked it with chipotles. Yet to suggest a dish is "hot" (or not) could also suggest you're discussing it's temperature. Indian food can be spicy in both senses. Wanting to educate myself more about Indian cuisine, I made several dishes recently, and boy did I go through my spice cabinet, adding ingredients by the tablespoonful that I would normally measure by teaspoons or fractions thereof. The Chicken Tikka Masala I made used portions approaching or exceeding 1 tablespoon of turmeric, coriander, cumin, cardamom and garam masala (an Indian spice blend of cardamom, cinnamon, cloves, cumin, black pepper and coriander) plus generous doses of fresh garlic and ginger. That's a lot of flavor. And the dish was fantastic: tender pieces of chicken coated in a luscious tomato-cream sauce. Like Sax, I never ate Indian food as a kid. My first real exposure to it was in London as a college student in the late '90s. Indian food was plentiful in London at that time, and a vegetarian Indian buffet made for a filling, affordable lunch for a young person without much cash in an expensive city. Indian food is also fairly common in Washington, D.C., and it's offered by a diversity of establishments from fast-casual to fine-dining. If Indian food still hasn't quite had it's "moment" nationally in the U.S., it's certainly broken through to the mainstream in the capital. Masala Art: Top - Aloo Tikki Chaat, Bottom - Murgh Tikka Masala. Some of D.C.'s best Indian food comes from those sorts of neighborhood restaurants that Indian food is often associated with, although several have distinguished themselves enough to become "destination" establishments. Masala Art in Tenleytown is a great example. The long menu is filled with familiar northern Indian staples like tasty Chicken Biryani, the spicy chicken and rice dish. 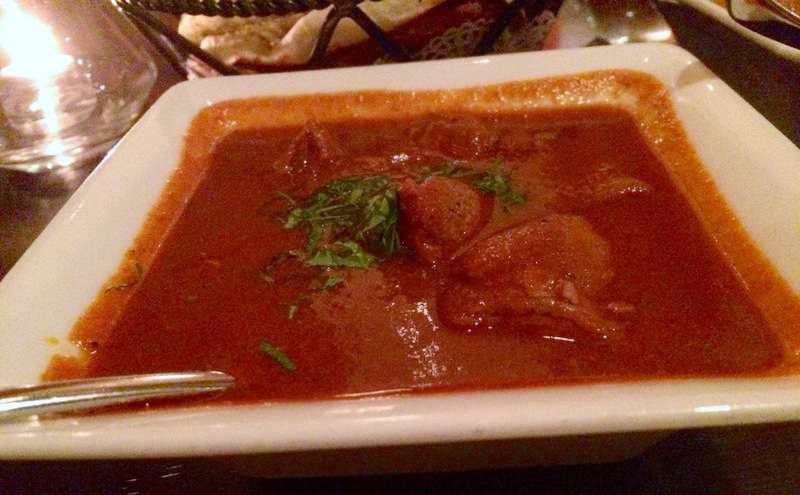 During a recent visit, I opted for the Murgh (chicken) Tikka Masala, the popular spicy dish of chunks of chicken served in creamy onion-tomato sauce. The dish was quite good and also quite spicy--much more so than when I made the dish myself at home. Our appetizers were also very good. 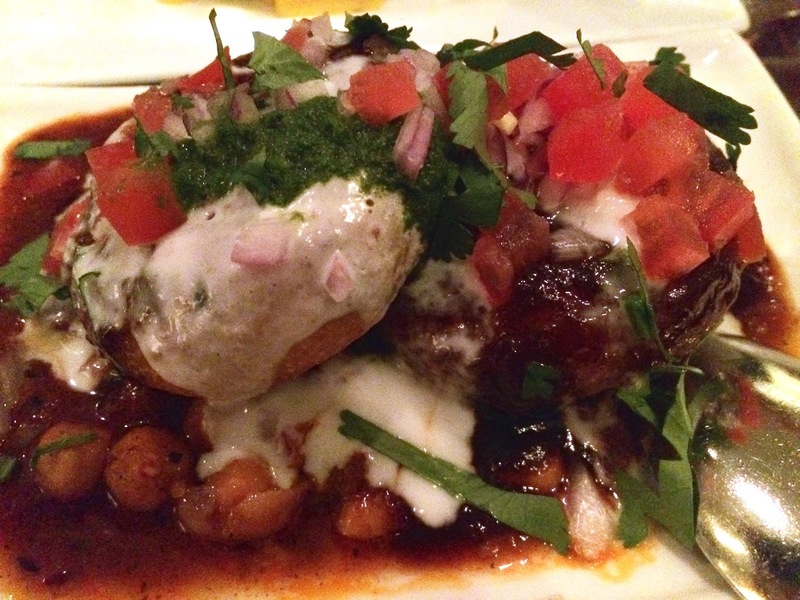 We enjoyed both the Aloo Tikka Chaat--fried potato cakes served with chickpeas, yogurt and tamarind sauce--and Sarson wali Gobhi, cauliflower florets coated with a rich mustard sauce. A side of nan (same thing as "naan") is essential for cleaning your plate of all these wonderful sauces. I recommend the garlic and black pepper nan. While Indian restaurants typically are the sit-down, full-service variety, there are options for those on the go. Several food trucks in the area offer Indian food, although I've yet to find one that I really like. The curried chickpeas and lentils I tried recently from a truck were surprisingly bland, especially compared to the spicy cuisine at Masala Art. Merzi: salad with chicken, tikka masala and yogurt. One of the more interesting options for "fast" Indian is Merzi. Fans of Chipotle will find the setup similar, a choose-your-own-adventure of bases, proteins, sauces and add-ons. While I love the chaat base--a combination of warm vegetables--I find it to be too filling for lunch, and instead opted for the romaine lettuce salad. 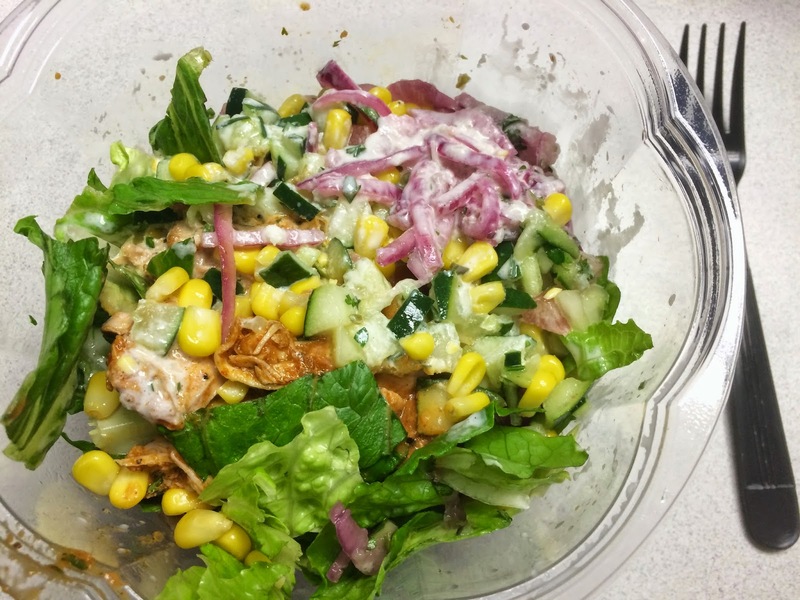 Topped with chicken, creamy tikka masala, corn, pickled onion, cucumber and garlic-yogurt chutney, my selection was tasty and refreshing, mixing fresh and cooked ingredients with a bit of spice and creamy cool. At the opposite end of the restaurant spectrum from fast-casual, there's Rasika. Since it opened 10 years ago, Rasika has proven, without a doubt, that there's a place for Indian cuisine among the city's elite dining destinations. Ask Washingtonians where to eat for a special meal, and Rasika will no doubt be among the shortlist of answers. Its palak chaat, a starter of flash-fried spinach, is legendary, a staple of any list of D.C.'s most iconic dishes alongside fare like Ben's Chili Bowl's half smoke, Central's fried chicken or Graffito's pepperoni sauce. 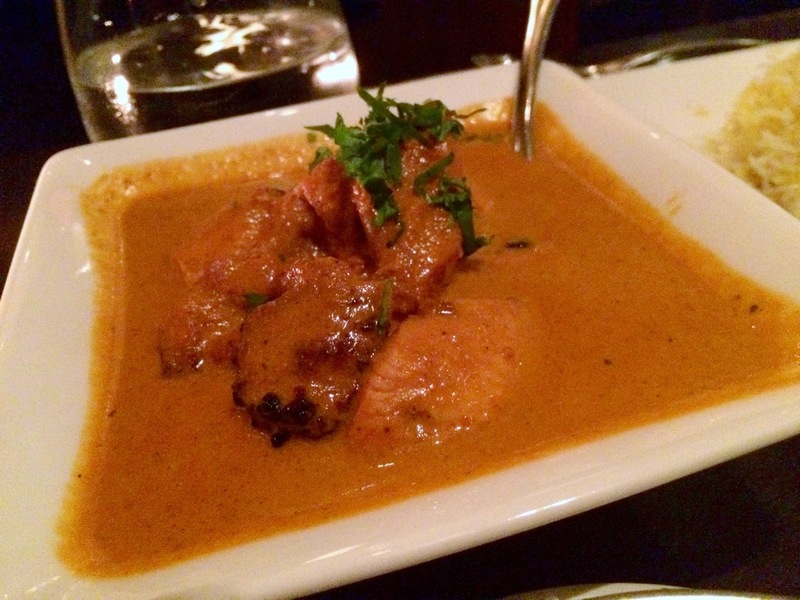 "Rasika" means "flavor," and it's delivered in abundance at the Penn Quarter establishment. 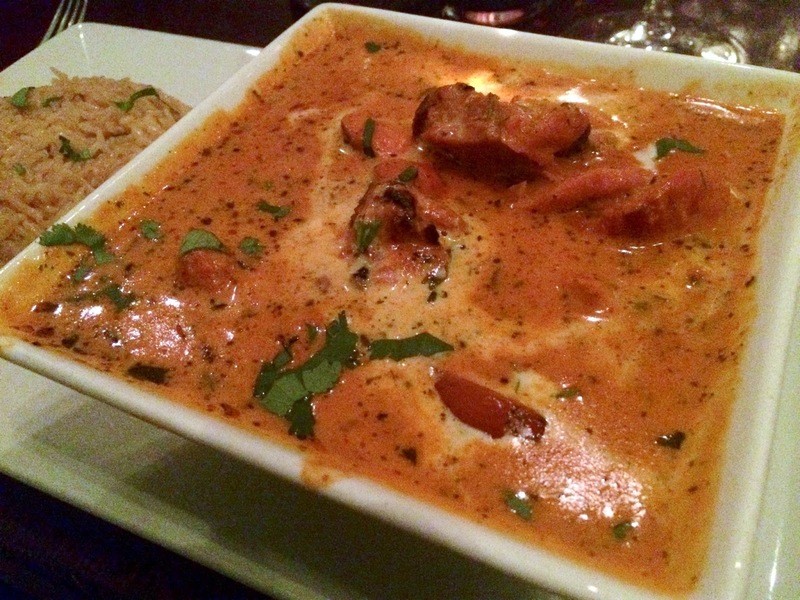 We enjoyed everything we sampled from Rasika's four-course tasting menu. At $58 (more for six courses, less if you opt for the vegetarian dinner), it's a steal among the tasting menus in D.C.'s four-star restaurants. Restaurant Eve, Komi and the Inn at Little Washington's are $85, $135 and $188/$208, respectively, while Minibar really stretches your wallet at $250. All of these restaurants, including Rasika, offer optional wine pairings at an additional cost. We didn't opt for the wine pairing, but did start our evening with cocktails. 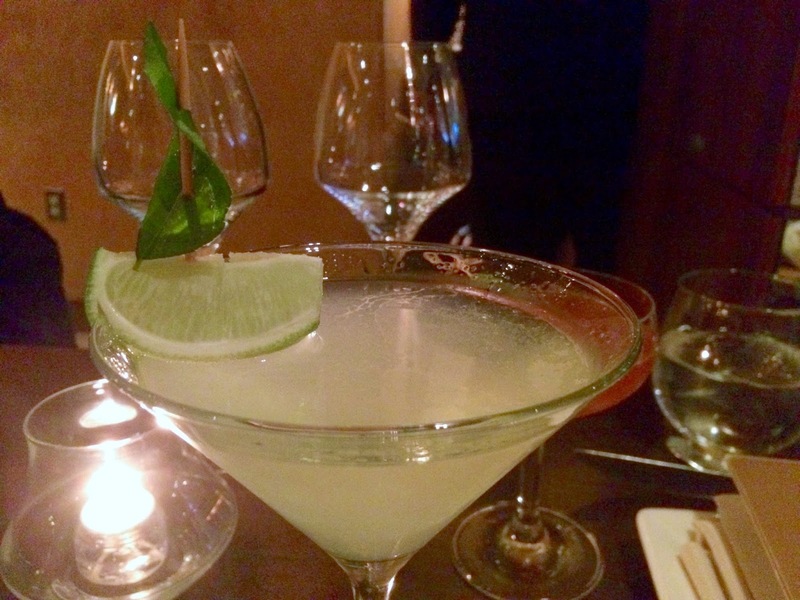 I had the Tea Clipper Gimlet, a refreshing riff on the gin classic enhanced with the flavors of kaffir lime and curry leaf. Our server was sure I noticed the clever garnish: a clipper ship fashioned from a lime-wedge hull and curry-leaf sail. Chris's Royal Orient Express, a drink of rum, sweet vermouth and pineapple, with hints of clove, is also excellent. As I mentioned, Rasika's palak chaat is legendary, and thankfully the restaurant doesn't force diners opting for the tasting menu to order it a la carte, as it arrives as our first course. The dish deserves every accolade that has been handed to it. Although deep fried, the thin coating of chickpea batter does not overwhelm the baby spinach leaves, which are light and crisp. The tamarind, date chutney and yogurt give the dish a refreshing tangy sweetness. With a starter this good, it would be difficult to visit Rasika and begin the meal with something else. The second course, a seared scallop with a honey-ginger red pepper sauce isn't as instantly memorable as the spinach, but the tender scallop is a very good follow-up. Course three is the main event: Chicken Makhani, also known as butter chicken, finds broiled chicken bathed in a rich tomato and fenugreek sauce. It's not dissimilar to the chicken tikka masala we had at Masala Art, although it isn't as spicy-hot. Spice lovers may instead by drawn in by the Lamb Mirchi Korma, pieces of braised lamb with caramelized onion and a spicy sauce of Kashmiri chili and Schezwan pepper. It would be hard to say which of these were better, as both were excellent. Accompanying the meat entrees were two wonderful vegetable sides: carrots and green beans served with cashews and saffron and sliced okra with mango powder, along with the expected basmati rice and naan bread. The final course is a trio of tasty desserts. The apple jalebi is the standout: a breaded and fried slice of apple, sort of like what apple tempura would be like. 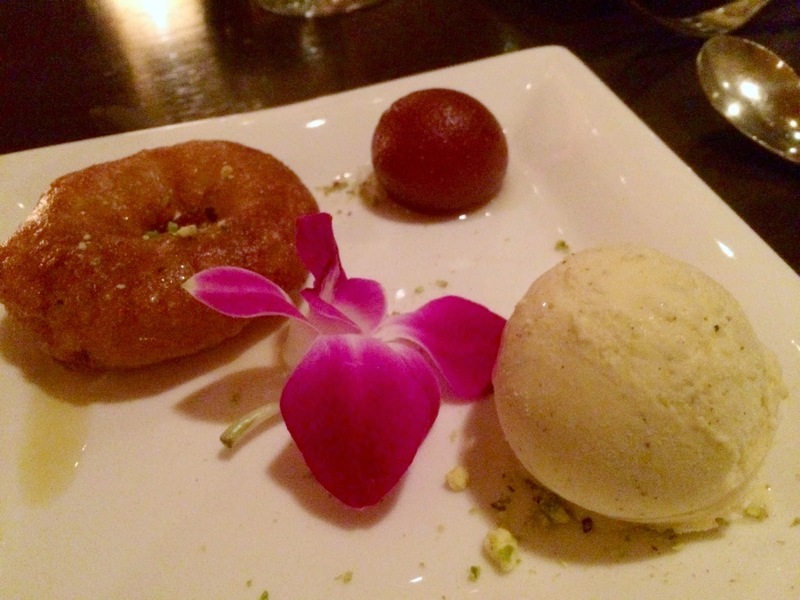 The gulab jamun is a like a donut glazed with as sweet syrup. I've read they are made from milk solids. The ice cream is cardamom flavor, and it's sensational. I'm all about finding more ways to use cardamom these days, and ice cream is a grand idea. Among these three restaurants, Rasika is the clear standout, but I certainly wouldn't dismiss the other two. Masala Art presents something that feels more traditional, a nice counterpoint to the "modern" cuisine at Rasika. And Merzi is great if you want the typical fast-casual food experience with the spicy flavors of India. I would revisit any of them, particularly Rasika. To the surprise of no one, Washington Post restaurant critic Tom Sietsema named Rasika the city's #1 restaurant last year. Indian food may be a second-class citizen in other cities, but Rasika proves that in D.C. it's king. They day may still come when Indian hits that tipping point toward mass acceptance. Until then, count yourself lucky if you've already been won over by its charms and enjoy all the variety it has to offer. Masala Art, 4441 B Wisconsin Avenue NW (south of Albermarle Street), Washington, D.C. (Tenleytown). (202) 362-4441. Reservations: Open Table. Merzi, 415 7th Street NW (between D and E Streets), Washington, D.C. (Penn Quarter). (202) 65-MERZI. Rasika, 633 D Street NW (between 6th and 7th Streets), Washington, D.C. (Penn Quarter). (202) 637-1222. Reservations: Open Table.